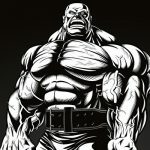 Ronnie Coleman details his most effective chest training techniques using barbells and dumbbells! Eight-time Mr. Olympia Ronnie Coleman was known for having many incredible body parts, and his chest development was no exception. 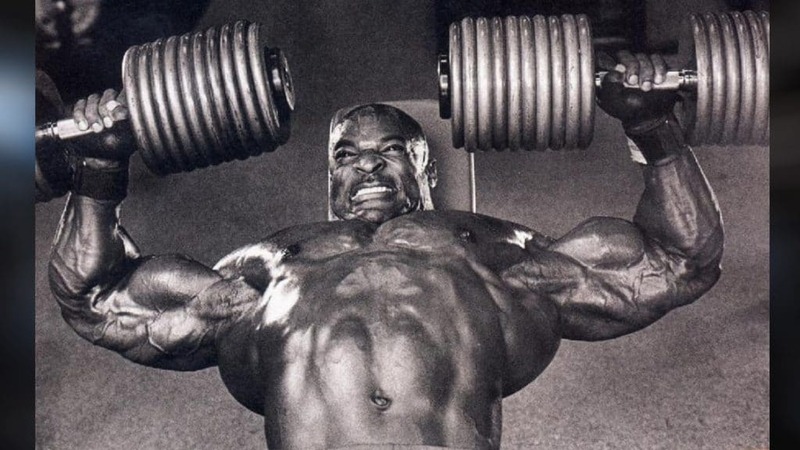 His chest workouts were absolutely brutal, and few people trained as hard but Ronnie Coleman’s chest workouts included lots of variety when it came to angles and exercises. Now, yes… genetics played a big role in his ability to build massive mountains of muscle during his bodybuilding days, but that doesn’t mean you can’t build an impressive pair of pecs yourself! For building maximum chest size and development, Coleman recommends using a variety of techniques, angles, and exercises. Now, cables and machines are fantastic for getting results in the gym and Coleman likes them too. But… he definitely prefers the use of free weights during his chest workouts, and more specifically barbells and dumbbells for maxing out your potential for overall chest size and strength. Why free weights over machines and cables? And although cables are amazing for getting results, they still limit you to some degree, and it’s generally harder to move the same amount of weight when compared to a barbell or dumbbells. 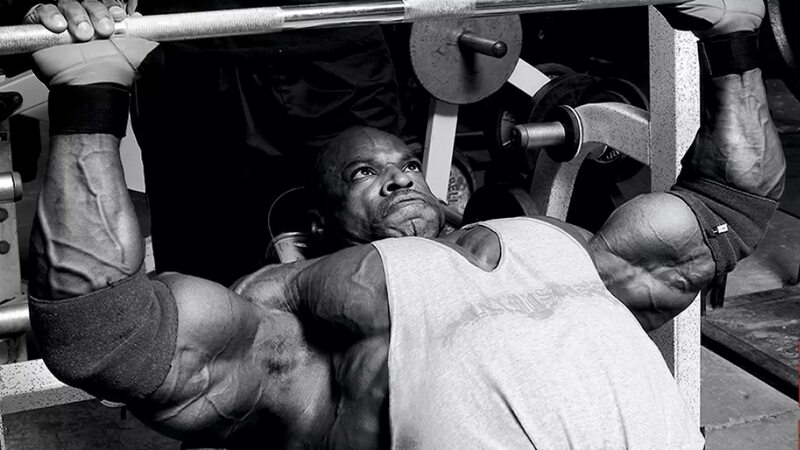 Barbells – Ronnie Coleman likes the barbell bench press for his chest workouts because the stress of the weight distributes equally across the chest, shoulders, and lats. This creates balance and symmetry in each muscle involved in the barbell bench press. Dumbbells – Now, Ronnie Coleman likes using dumbbells for his chest workouts because he believes you can better isolate a muscle and train it more thoroughly. His theory is that you get better results from being able to squeeze the pecs together at the top of the movement when using dumbbells. But it doesn’t end there… you see, during a dumbbell pressing movement, each pec muscle has to push its own weight and there is no assistance from the other pec muscle. Unlike with the barbell chest press where both your right and left side can work together and take some stress off the other, making the movement easier. Do Free Weights Have Any Other Benefits? It’s not a difficult concept… but Coleman believes using dumbbells allows you to apply these principles more effectively than a barbell (Barbells should have their place in your workout routine though). Now, the reason is with dumbbells you can really squeeze your chest muscles at the top of the movement to encourage hypertrophy, and you can get a much deeper stretch with the more free-range that dumbbells allow during an exercise. But, you do need to use both dumbbells and barbells since they both serve a unique, yet effective purpose! Training chest is easy once you understand how to structure a training routine that works for you! Try to perform your main sets with free weights, and feel free to use machines and cables for isolation exercises. Effective chest training is all about using different angles, and training methods. Follow Ronnie Coleman’s chest workout principles, along with his best tips and you’ll be closer to developing a full, muscular chest that most people will envy. But make sure you use a lot of variety in your training as this is key to achieving your maximum chest potential. We hope we armed you with everything you need to start making gains!